After seven years of owning and operating the Kumon Springfield Lakes Education Centre, Instructor Vijaya Kannan will help bring Kumon to more Ipswich families by opening her second Centre in Redbank Plains. Vijaya has helped to develop the Maths and English abilities of hundreds of students in Brisbane’s Greater Springfield area and beyond. One such student is Coleman, a Redbank Plains local and aspiring basketballer, who began his Kumon Maths and English studies falling behind in school. And as Hazel, Coleman’s mother, explains, the benefits of Kumon go beyond purely academic study. After studying at Kumon, Coleman was accepted into Ipswich Grammar School on a full scholarship, where he continues to excel in school and on the court. Kumon Redbank Plains Education Centre opens on Monday, October 1 at the Redbank Plains Community Centre. 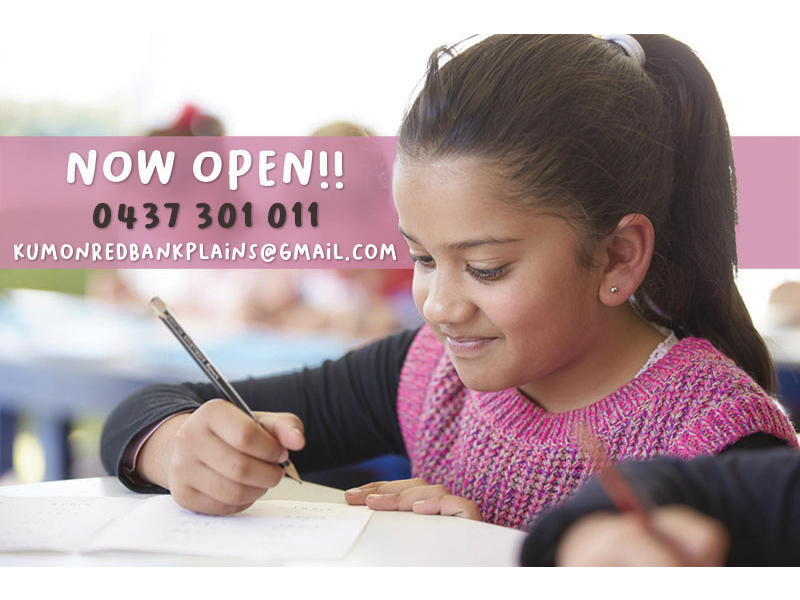 To enrol or to find more information please contact Vijaya on 0437 301 011 or email kumonredbankplains@gmail.com.